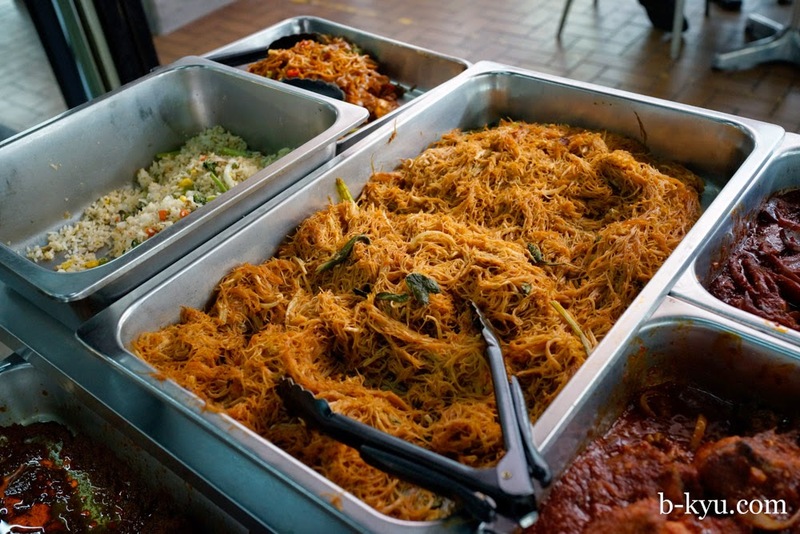 B-Kyu: B-Kyu in Kuala Lumpur ~ Peters Pork Noodles, Fatt Kee Hokkein Mee, Imbi Markets and Hussain Bistro Curry House. 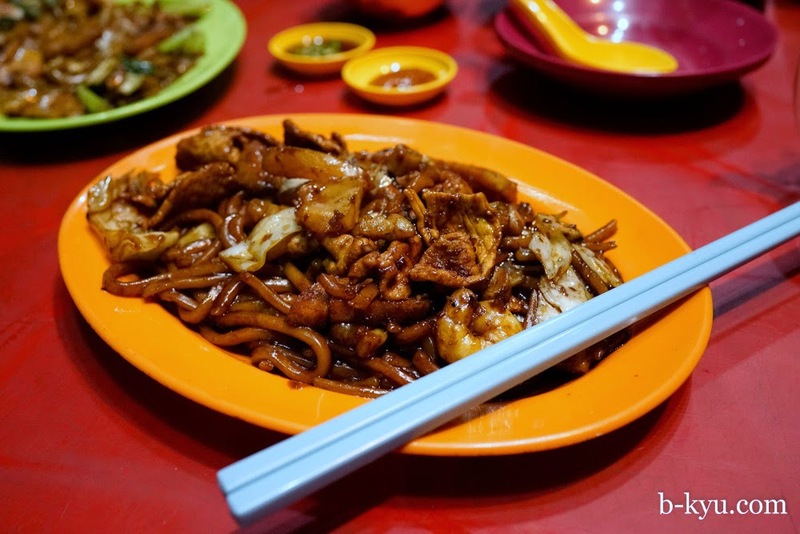 B-Kyu in Kuala Lumpur ~ Peters Pork Noodles, Fatt Kee Hokkein Mee, Imbi Markets and Hussain Bistro Curry House. 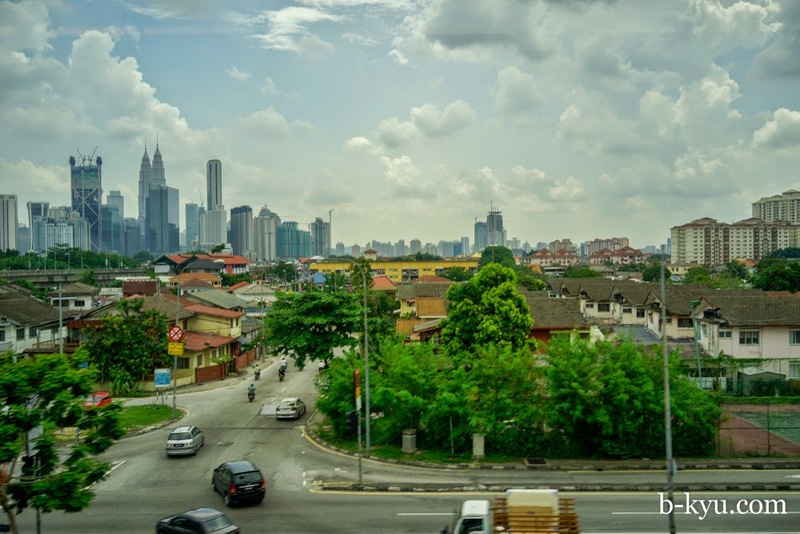 A quick stopover in KL on our way back from Penang to revisit a few favourites including Imbi Market and find some new ones among the air con walkways. 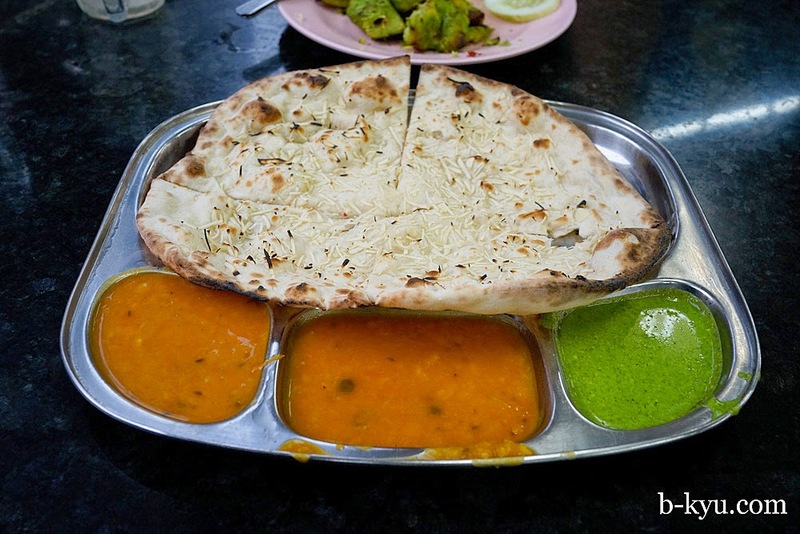 Our aim for this KL stopover was to eat as much Indian food as we could. But you know, things don't always go to plan. We started off right, with our hotel in the middle of a bunch of Indian joints, many of them 24 hours, like the one across the road. 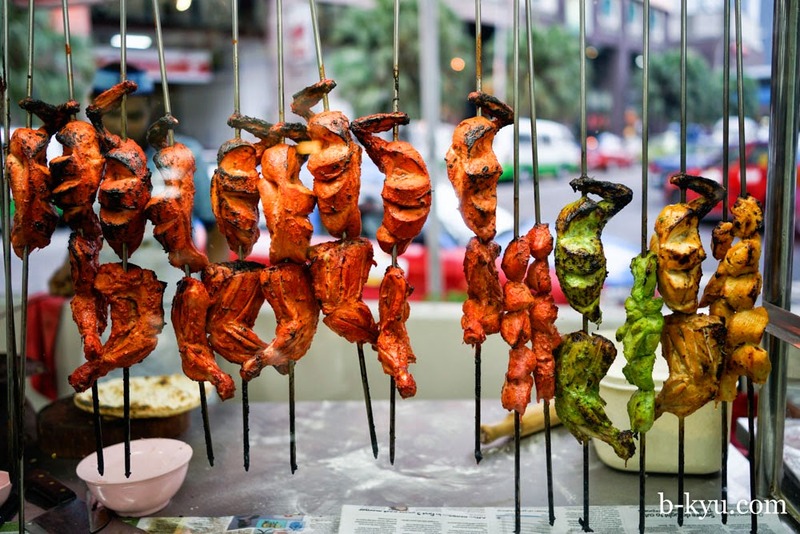 We see these beautiful green tandoori at Restoran SK Corner and have to try it. It tastes like tandoori chicken, only green. It's served with fresh onions, cucumber and a wedge of lime. The bread and dip is wonderful however. 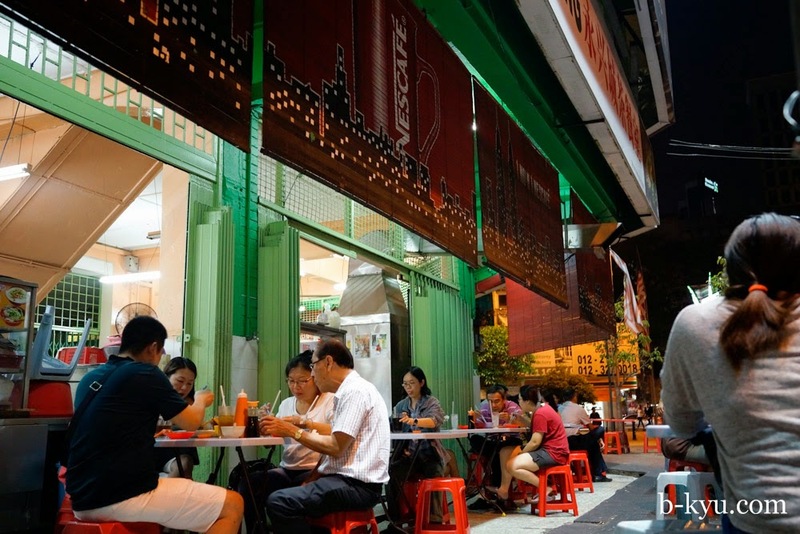 Restoran SK Corner is the corner of Jalan Rembia and Tengat Tong Shin. We meet a super friendly pat buddy who follows us out of a restaurant after dinner. 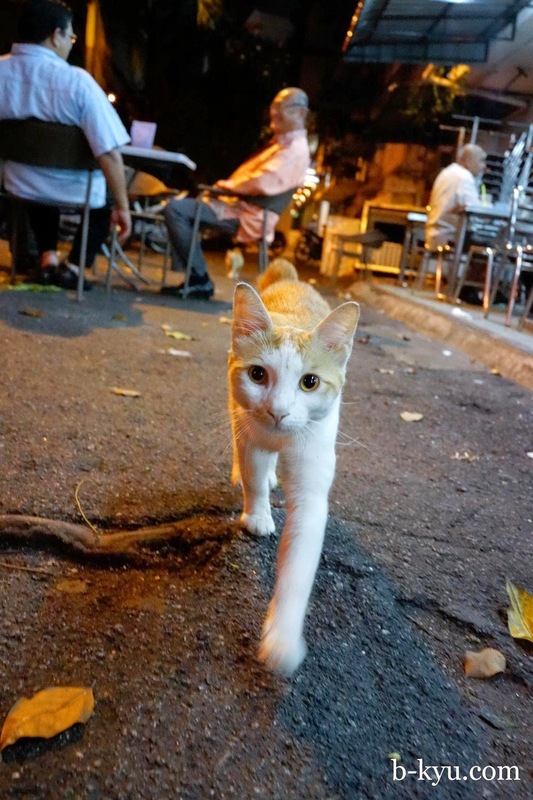 We cross the road and our pussycat buddy is still watching us, "I thought we had something special" he says. 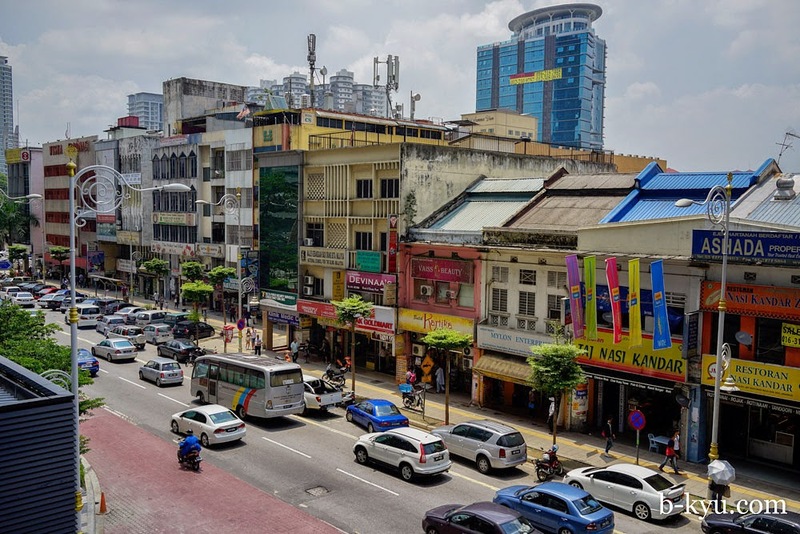 We head out to Brickfields which is best known for Indian food but we're after a specific Chinese place. We get completely lost until we're saved by a random uni student who kindly walks us all the way there. Anyhoo, this is the food court we were looking for, below the Mayflower Seafood Restaurant. Of course we walked right past it the first time, the entrance is a little hidden under a staircase through an alleyway as you walk along Jalan Brickfields. There's a big parking lot next door. And this is the stall we wanted to try: Peter's Pork Noodles. The bloke running the stall sat down with us for a good chinwag, this place seems as much a social club as anything. A number of the fellas running these stalls were in the airforce together, and they knock off about 2.30 each afternoon for a beer and a chinwag. We compare costs of running the stall in Sydney, he is probably better off here. Peter's Pork Noodles are a bit famous and a bit bloody good too. It's like a soupy porky spaghetti, it's plain but just right. 6.50 ringat a small bowl. 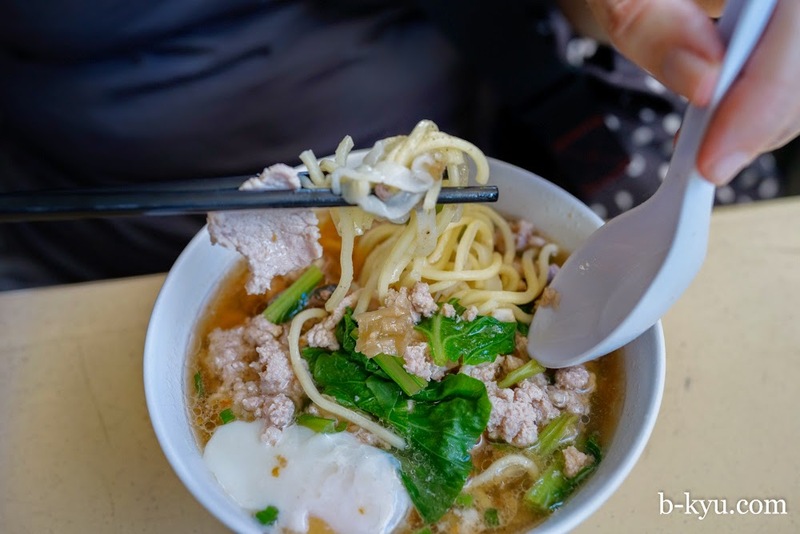 Alison gets her pork noodles with an egg. That's her job. The egg makes the broth just like an udon style, giving you a bonus egg soup at the end. The soup has pork five ways: crisp crunches of skin, slices of pork, liver bits, lardons and mince. 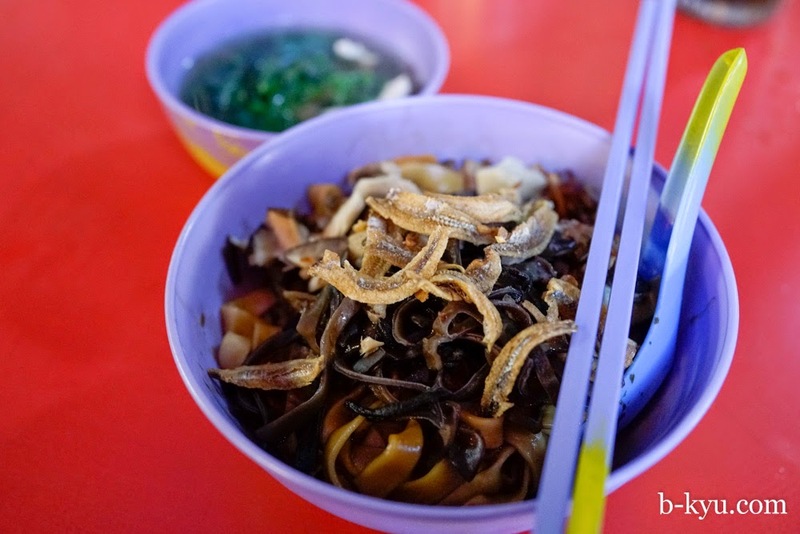 You can also choose what style of noodles you like, either rice, 'rats tails', yellow noodles or vermicelli. 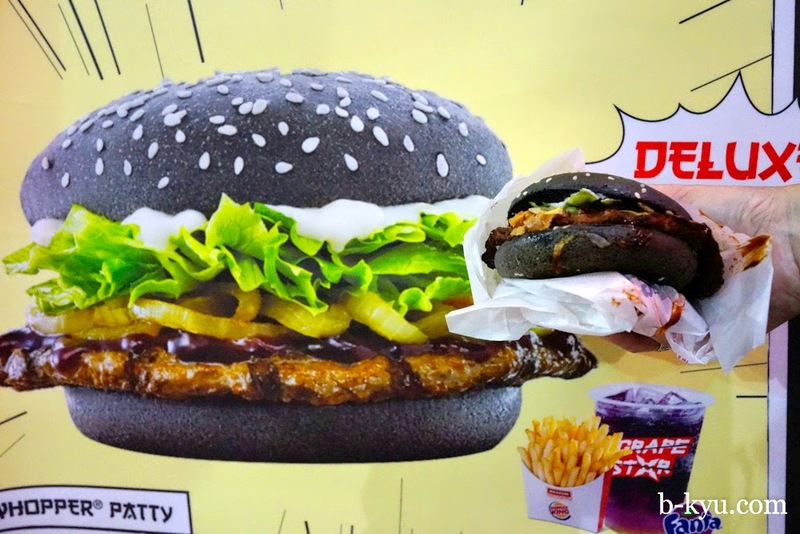 In the shopping centre across the road we try the Burger King 'Ninja Burger' and go for a product vs ad shot. It's like a whopper with black buns, nothing too special. 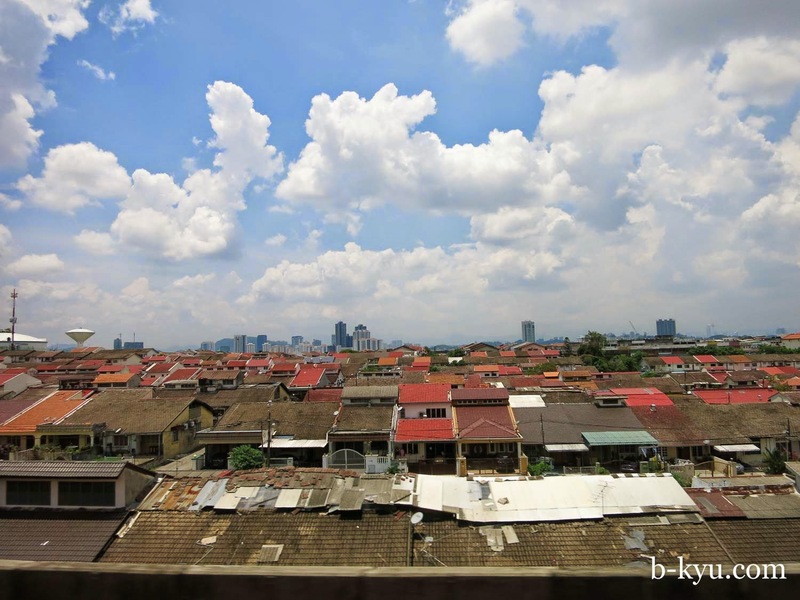 We catch a train to Petaling Jaya expecting to find a central shopping area to explore but we couldn't find one. We just found suburbs, suburbs and more suburbs. The train is overground most of the time, it's a good way to an airconditioned overview of the city. We pick a stop at random at Asia Jaya and there's not much going on. 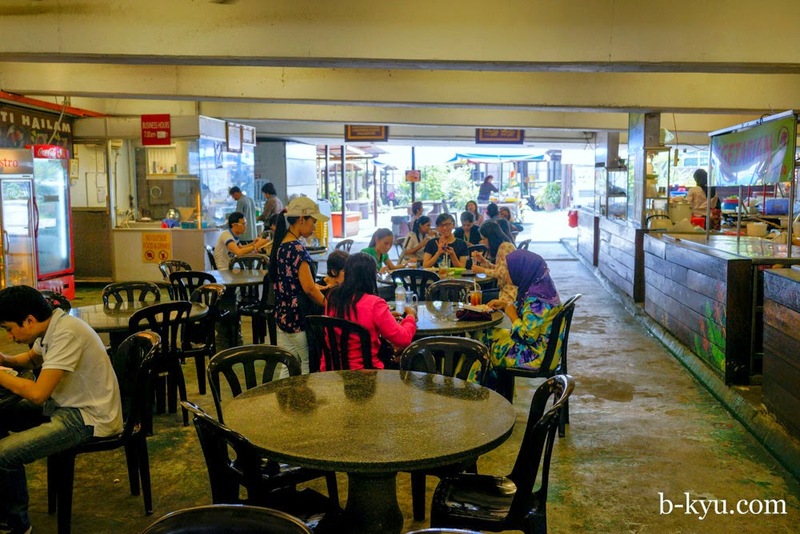 We find a small food court type place beneath an expressway overpass. We're glad we're not the only folks eating. 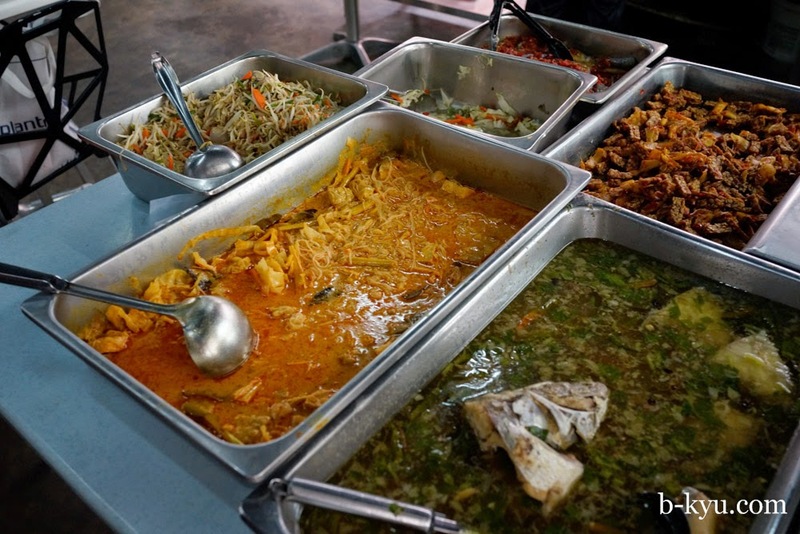 Inside are stalls full of nasi kandar and Malay food. 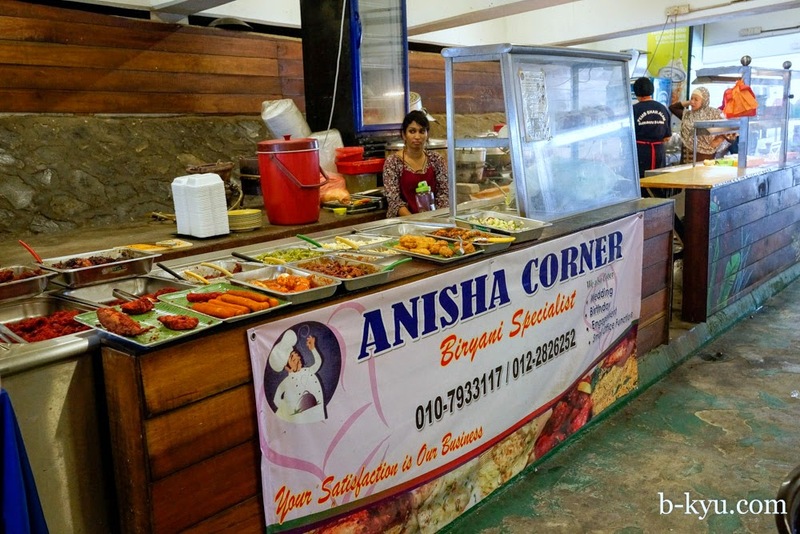 We give Anisha Corner a whirl, the food looked good and ready to eat. 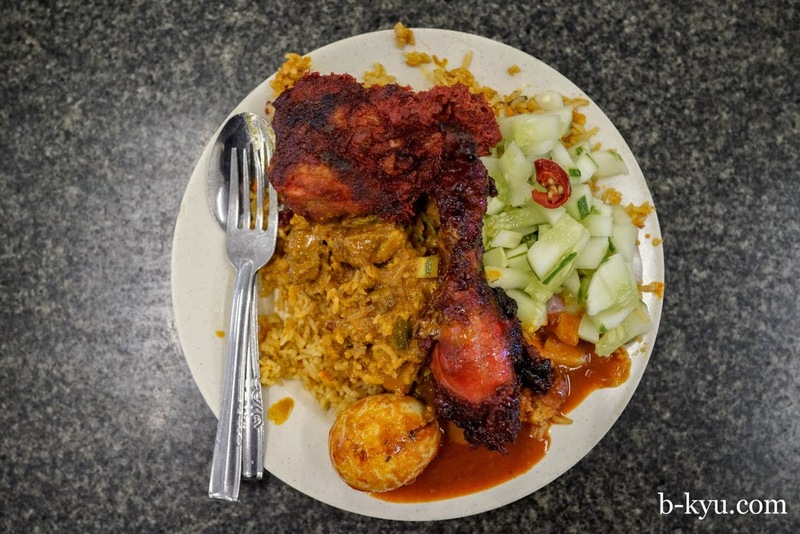 One plate was enough - bright red fried chicken, sweet kecap manis coated chicken leg, biryani rice, chopped fresh cucumber, eggs and gravy. We also had some tea halia, a ginger tea with milk served on ice and super refreshing. We get the train in a couple of directions to check out the 'burbs, some of the tree-line outer burbs in the hills look very pleasant. There's a sprall of new houses and malls along the train lines, welcome to big city living. For dinner we do a random wander and (finally) agree on this place, Fatt Kee Hokkein Mee Stall. We like how the prices on the menu come according to how big you want the serving, or even if you just want prawns. 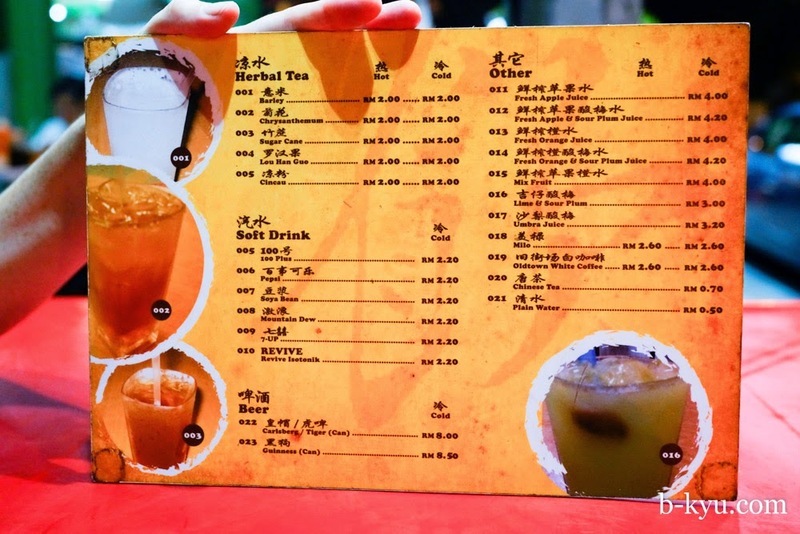 The sour plum and lime drink was sensationally refreshing. The Hokkein Mee is amazing. It's wet, rich and spicy, kind of dark and stormy. 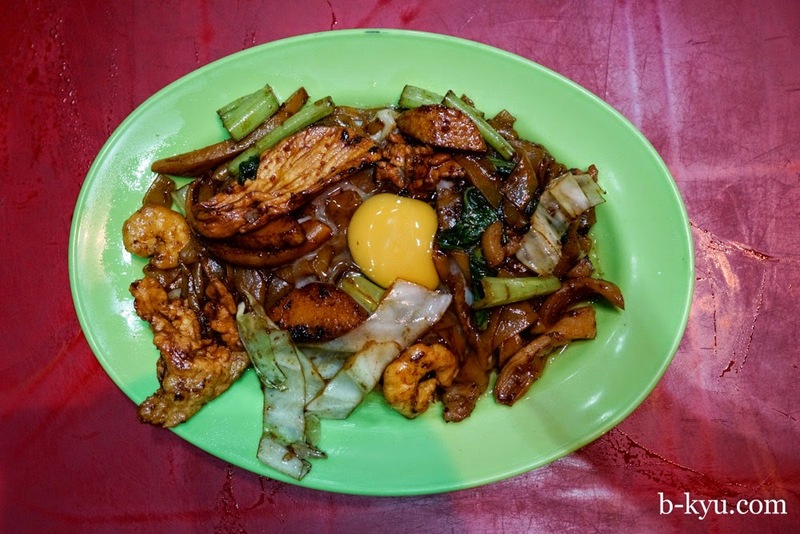 Hawker in Sydney is channeling the spirit of this dish. There's got to be a load of pork fat in there, there must be, it's lovely and lardy. Mr Shawn got super excited over this one. 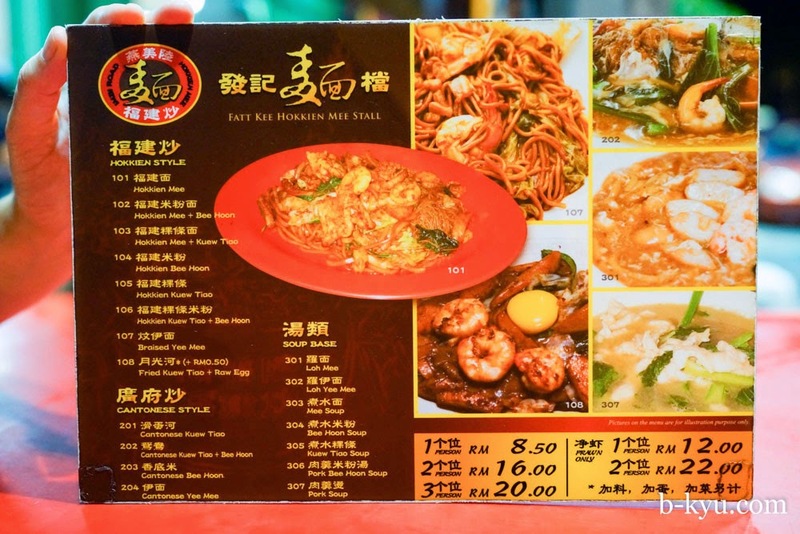 Fatt Kee Hokkein Mee is at 183 Jalan Imbi, next to Restoran Win Heng Seng. 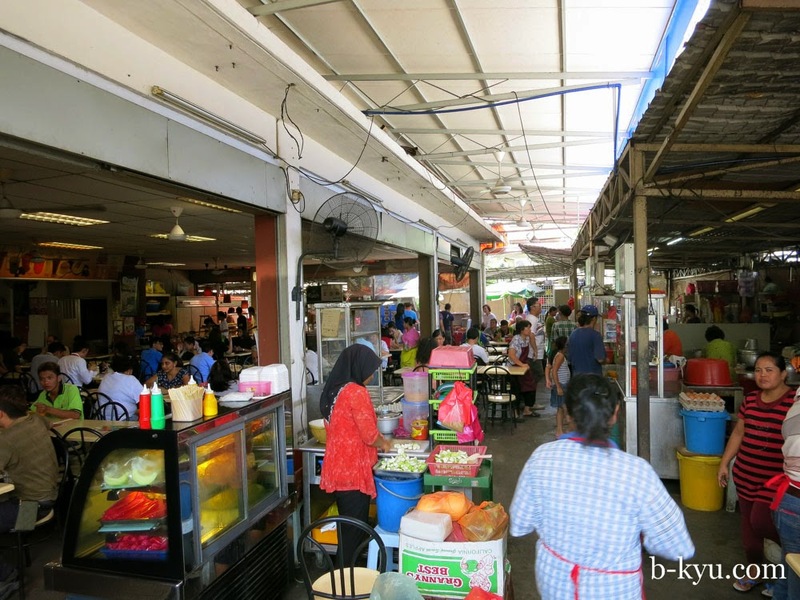 Next morning we hit Imbi Markets. Alison gets a kaya toast with soft poached googie, it's all she's been dreaming of. 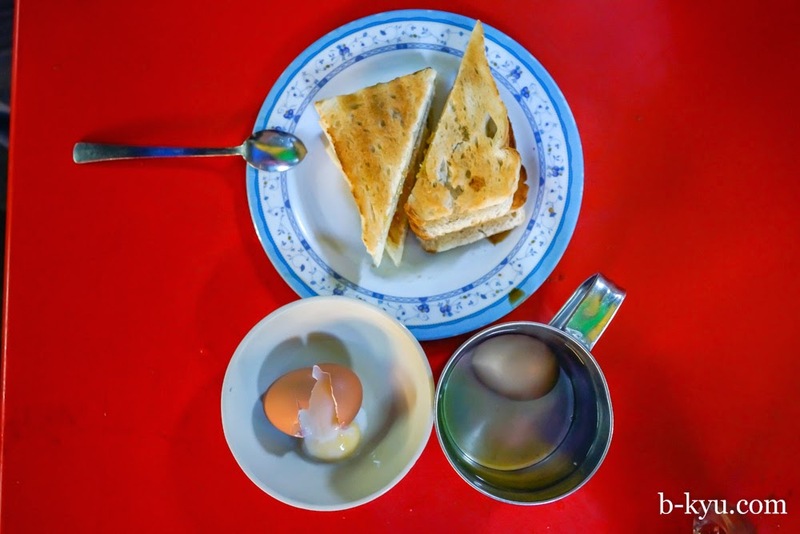 The eggs are gently cooked in a tin cup of hot water to get that just right consistency. 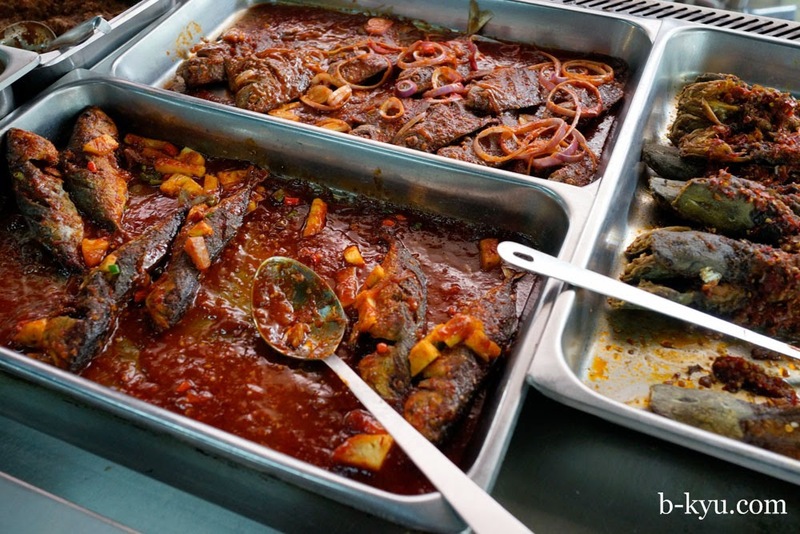 Imbi Market was the standout group favourite on an earlier trip to KL. 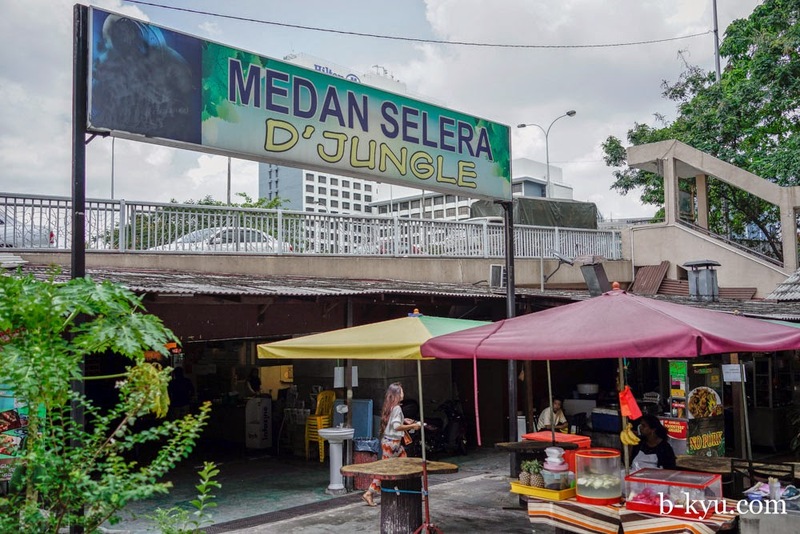 Development was going on all around Imbi Market so we reckon this could be our last visit here. 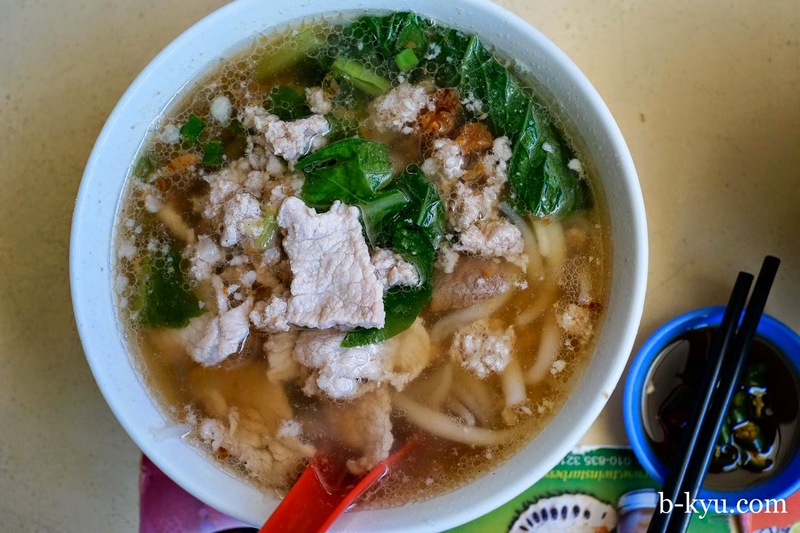 See our earlier trip for more on Imbi. 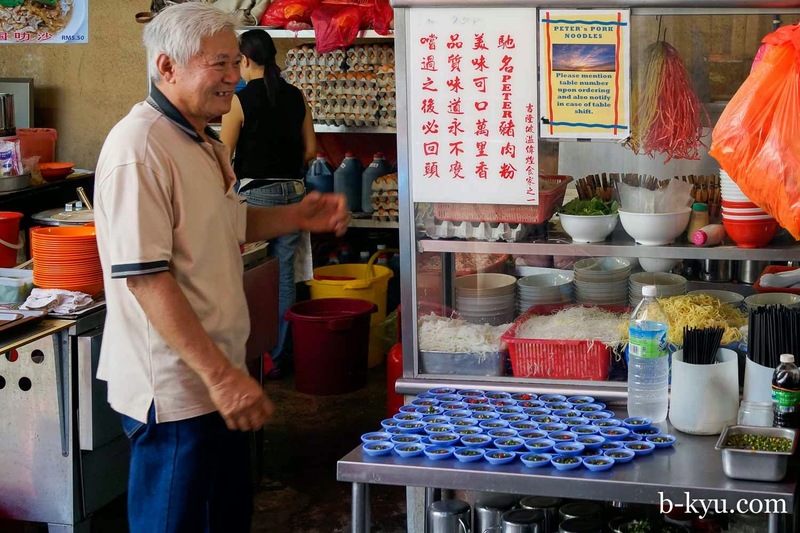 Shawn discovers that there is a dry version of pan mee, one of his favourite Malaysian soups. The noodles are fresh made to order, hand cranked through a pasta machine. The dry version has a much spicier kick though we found the spicy goo on the noodles to be overpowering, cloying. The soup version is the winner for us, but that's just us. 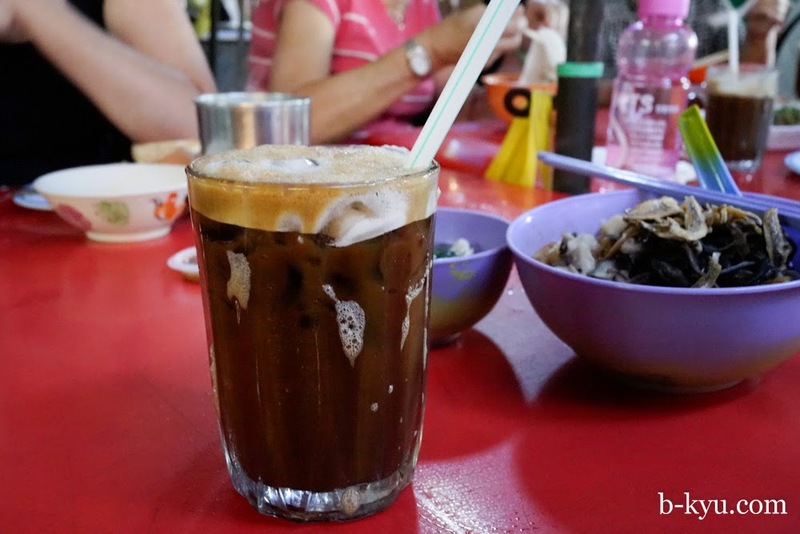 The drink shop here still does the best ice coffee we've had in Malaysia, sweet with a nice bitter coffee kick to it. 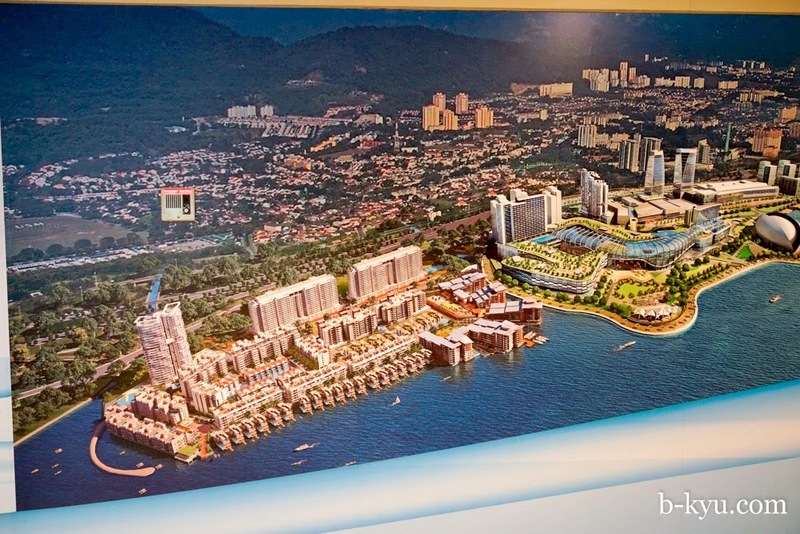 In a mall we see development proposal for Penang, man that place is going to change. We wonder how they will install the giant lightswitch in the sky. KL's newish overground walkways are wonderful. You can walk between shopping centres in air-conditioned comfort. 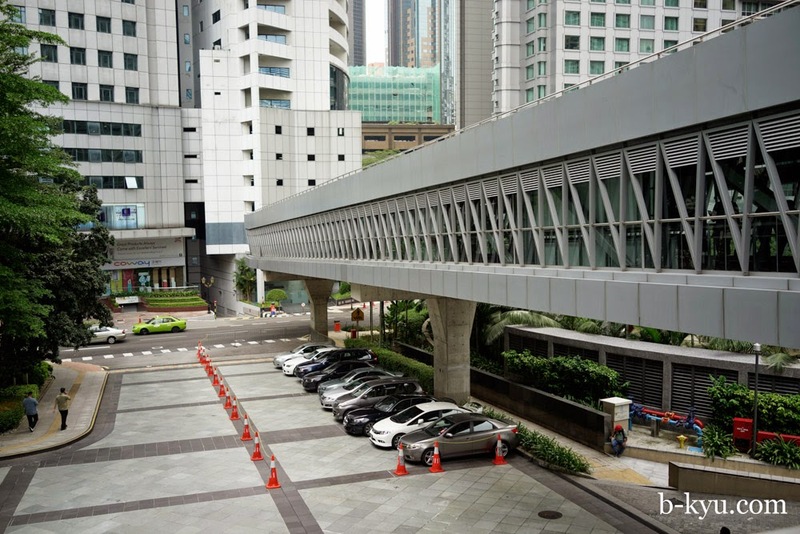 The walkways give pedestrians a calm break from the heat, traffic and roadworks outside. If you do a lap of each shopping centre it's good exercise to walk off all that pork lard in the noodles. 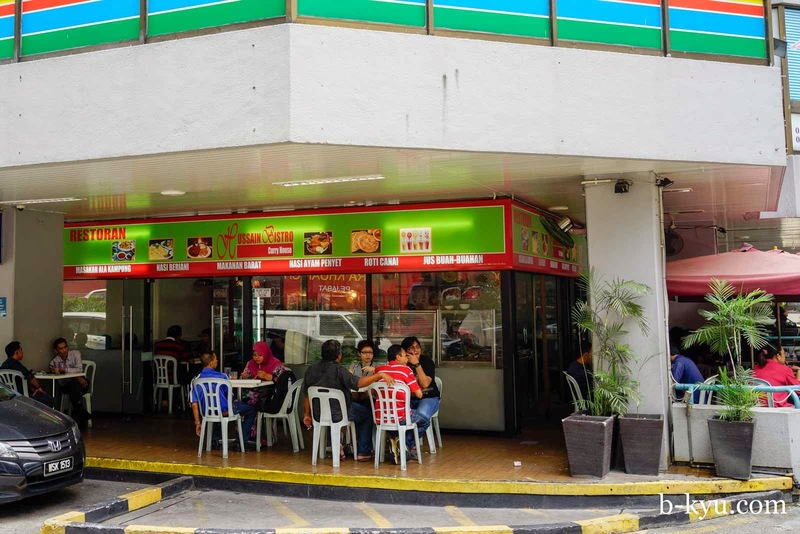 From the walkway we spy this gem of a Malay restaurant, Hussain Bistro Curry House in the Cosway Wisma. It's buzzing on a Saturday afternoon. Grab a plate of rice and pile up your plate, they will charge you mostly based on how much protein you've added. 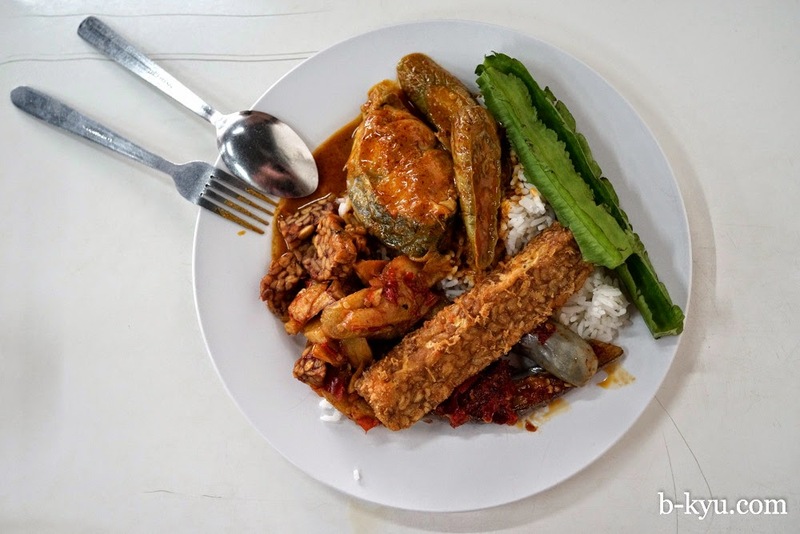 Malay food is amazing, finding it fresh when and where you want it is tricky. We don't get anything nearly as good as this in Australia, and you've often got to hunt for it in Malaysia as well. We have a dilemma, which is we want to try every dish, and we only have time for one visit. We stack our plates high. We envy the locals who can drop in regularly and just get a little bit of this and that to suit the mood, balance the flavours. 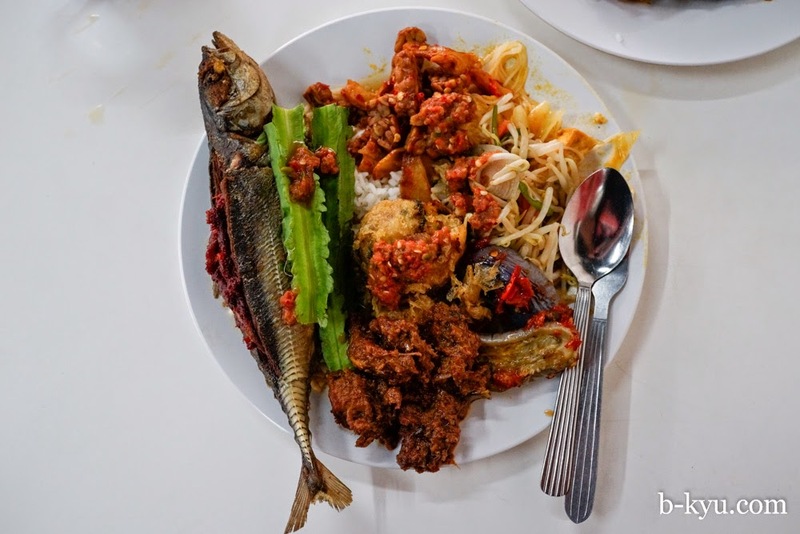 Long sticks of fried tempeh, fish cooked with eggplant, sambal stuffed fish, throw in some fresh wing beans on the side for a crunch. 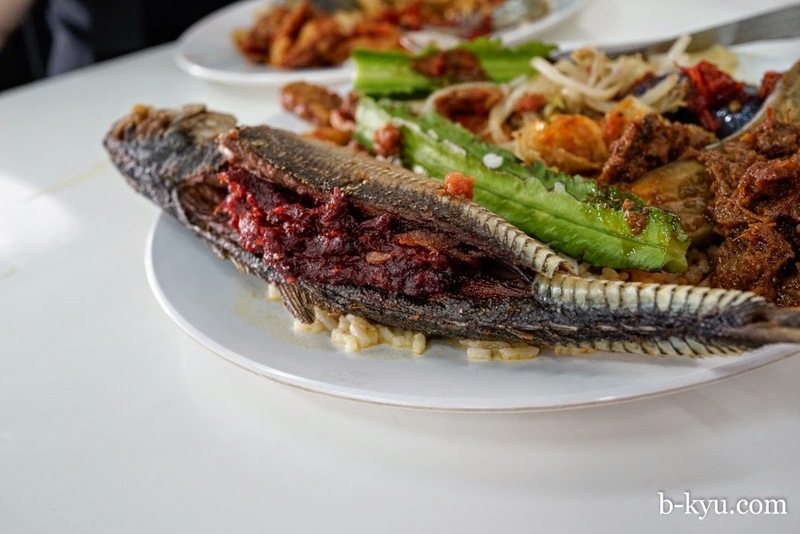 Fish stuffed with a spicy red sauce, fried croquettes, noodles and bean sprouts. 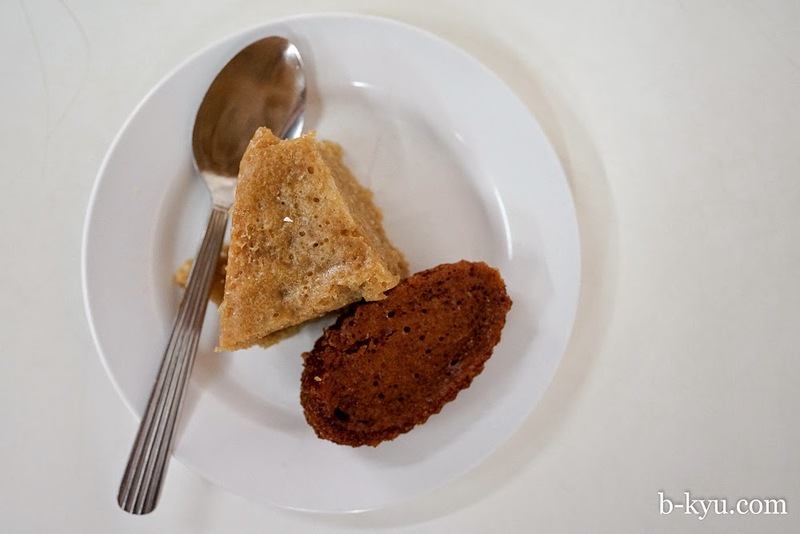 Sweeties - moist steamed cake, with or without brown sugar. Throw in some iced tea and the lot cost about 28 ringat. 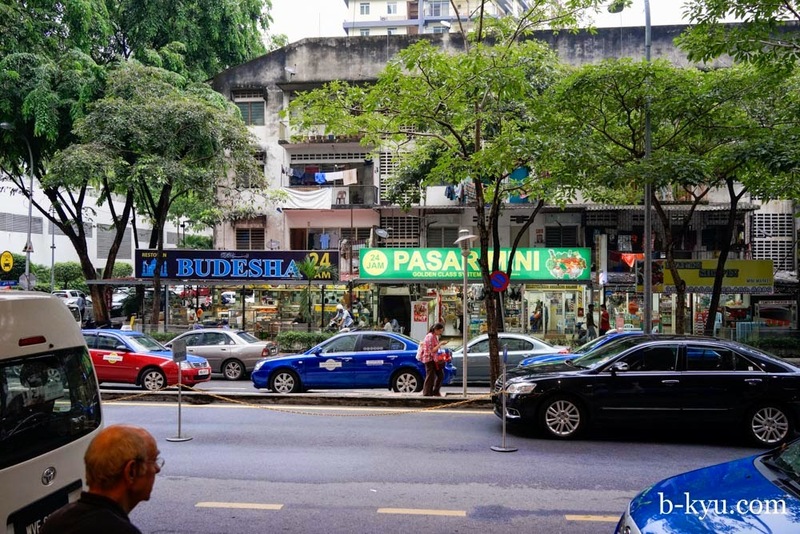 Hussain Bistro Curry House is at the bottom of the LCCC/Bukit Bintang exit to the Hotel Isthana and Wisma Cosway. Restoran SK is my all time favourite. 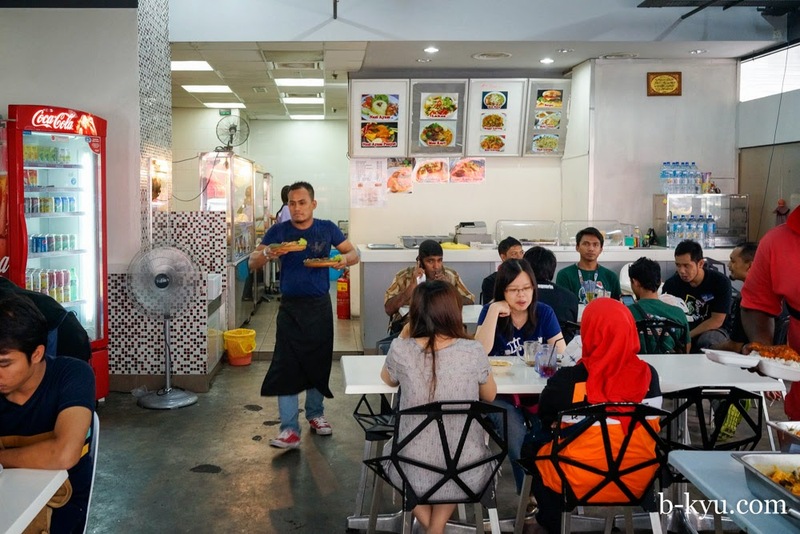 I stay super close usually twice a year, and get up early to have breakfast (2x roti, murtabark, teh tarik, ais lychee) and then go for a walk in the heat so I can be back there for a second breakfast by 11am. 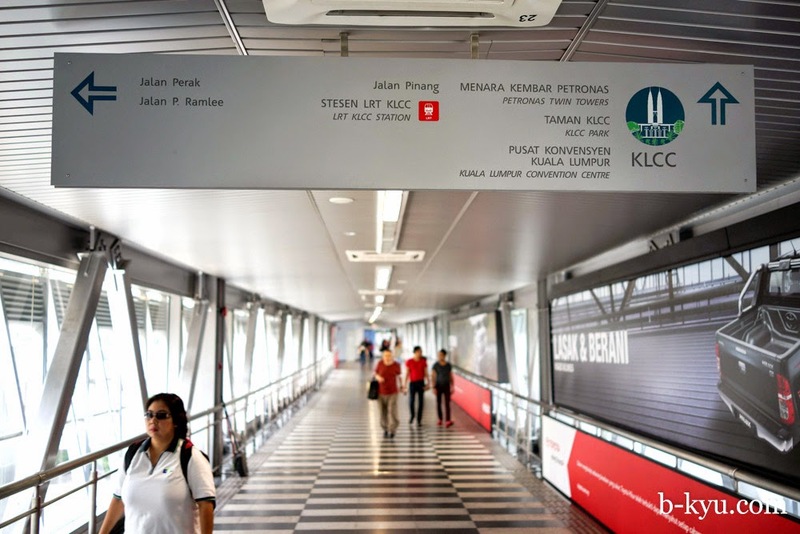 Every time I read your KL posts late at night, I almost book my self a cheap airasia return ticket for a weekend (eating only) getaway. If only the flight was a few hours less, we would be tempted for a few long weekends as well. Great post and lots of useful info - thanks. 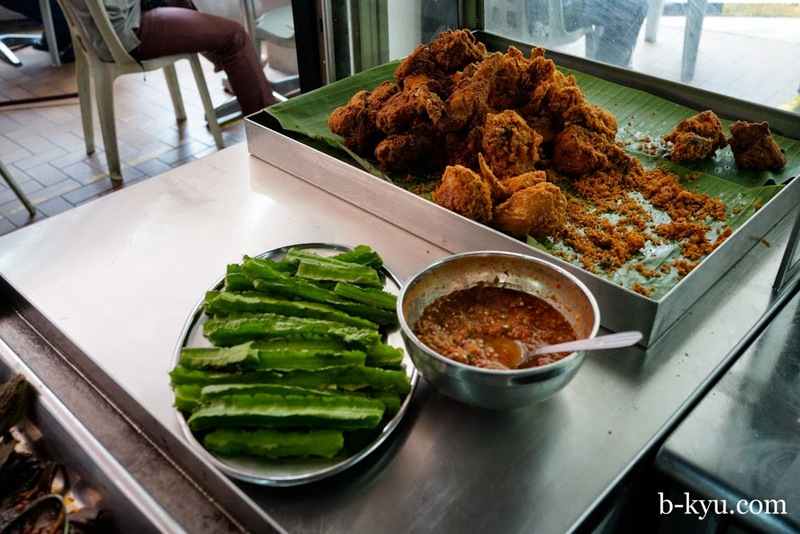 Must get to KL again soon, before Imbi market closes! Looks like we're headed to KL for a family trip (and maybe an extra friend) 4 kids in KL should be awesome. We jettisoned our usual trip to HK, mainly because the tickets were cheap, accommodation cheap and without a disneyland, we shave a good 1/3 of the cost of the trip off. Thanks again for all the foodie stuff, it seems from looking at google maps that I can't find these things, but putting in street names gives me an idea of where to street view.